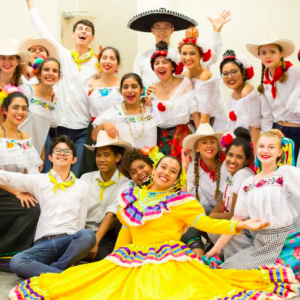 Last year I got into Culturama Latin America and it was a very fun experience. This is why I have decided to try again this year and I auditioned for four dances: India, Egypt, U.S.A and Mexico to put all the chances on my side and participate again in this year’s Culturama. 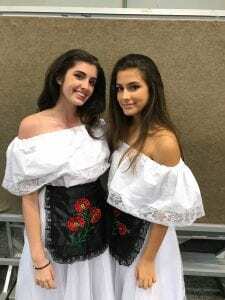 I did not get into the first three I auditioned for which kind of discouraged me because the only one that was left was Mexico and I thought the dance was very similar to last year’s (I was very wrong!). Yet, when I received the email of acceptance it made me even more thankful and happy to be in it as I did not expect to get in. The first rehearsals were very interesting as there was another small audition as the performance consisted of four different dances. This was out of the blue but I did really well and I got to choose the dance I wanted. My goal for this year’s culturama was to gain in confidence as we are performing in front of an audience and to meet new people that are in my dance. I did achieve those goals as it helped me a lot in my confidence that I also used for drama. 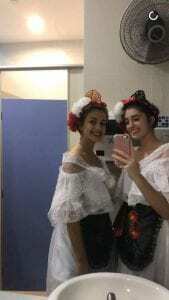 In addition, I hoped to learn more about the culture in Mexico. Doing their traditional dance, it helped me realise how vivid their culture is . The four dances of this whole performance were very different from one another but they were all cute and joyful. It is interesting as each dance was performed by people with different social status back in the days. You could see it from the difference in movements: the one that was more elegant was for women with high social status and the one with more west side movements was for the working class. Yet, this did not create any separation between the performers as we were all supporting each other on and off the stage. 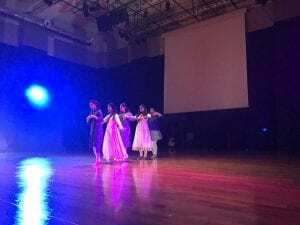 One challenging aspect of this dance was the fact that I was supposed to be a woman from a higher class and therefore had to dance with confidence on stage. This was the complete opposite of what I was actually feeling inside but as my father told me “fake it until you make it”. This means that when you act confident, you will actually feel more confident inside. This theory proved to be true in this dance! Some of the best comments we have had from the audience was “it really made it seem like we were in Mexico!”. 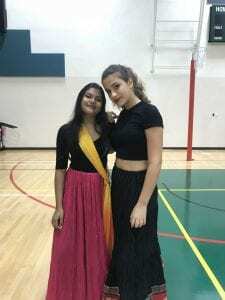 Overall, being part of this dance was a very fun experience and has been the highlight of my beginning in the school year. Spending time and collaborating with the dance leaders and performers helped me build new relationships that I will surely keep!